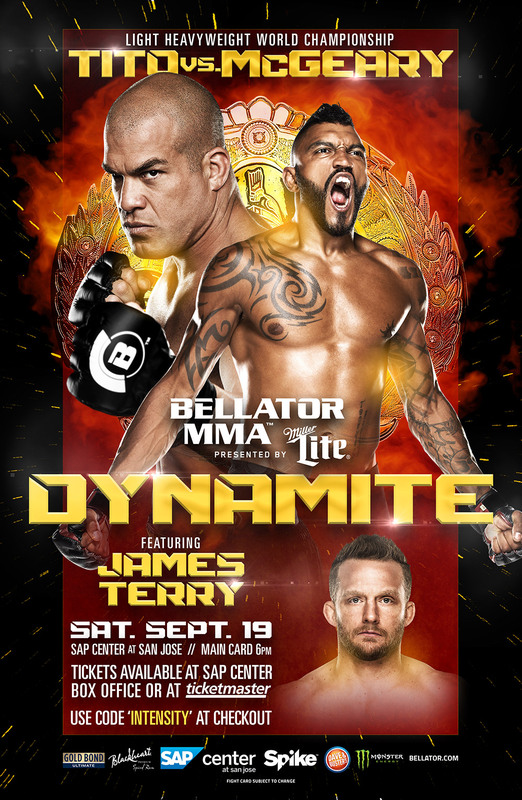 James Terry is fighting at BELLATOR MMA’s DYNAMITE show coming up Sept. 19th at the SAP Center! Get your tickets on ticketmaster.com! Please use the coupon code “INTENSITY” at checkout!